When communicating with me as a sales rep, there are rules you, the product manager, must follow: You must answer all questions I have. You have less than 30 minutes to keep my attention. Forget the product data sheets—one slide per question. 1. 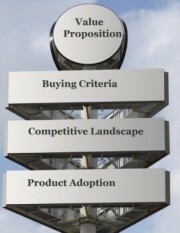 Value Proposition and Features/Benefits: What problem is the product solving for the customer? This is not the technical problem the product overcomes. You lose points and my attention if you go techie on me. 2. Buying Criteria: What are the Top 3 questions I can use to confirm that my customer has the problem your product solves? I need to quickly know if there’s a fit. 3. Product Adoption: What assumptions are you making about my business and technical environment to accept your product’s approach to solving the customer’s problem? I’ll call you out on them if you do not address them. 4. Customer’s Reasons to be Looking at the Market: What are the customer’s assumed buying criteria for the product? I already know what my potential customers have for buying criteria—you can’t tell me that. I only need to know if there’s a match for your product. 5. Market Response: What are you saying to industry analysts about your product? What are they saying back to you? You lose points if you only try to tell me about the positive things—I also need to know the deficiencies they call us out on. 6. Prove It – References: What reference accounts do you have in the industry that you sell into? No valid references = high sales risk and slow customer acceptance of the product. References in another industry than I work in = not interesting. 7. 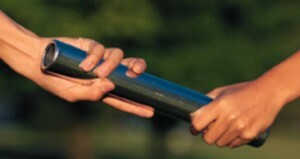 Competitive Landscape: What alternatives are currently available to customers? What’s the prognosis for other companies to enter the market? Who are they? Who has the low price? Who has a unique solution? What is the FUD I can use to establish credibility for your product? (Don’t just feed me the nice stuff. I need to know the position of the product). 8. Pricing: What are the typical upper and lower bounds for product pricing? If there are multiple options, what are the realistic upper and lower bounds? In B2B, what is the expected ROI? (Bonus points for fully prepared calculations that I can grasp in less than 1 minute). I have an annual quota. Your product better be a major contributor to that or I’ll leave the product sale to other channels. 9. Quota Contribution: How many of these things do I have to sell to make my quota? How many customers do I know that have the problem—in my territory—that are ready and willing buyers before the end of this year? How many “might” be next year? (Bonus points for knowing something about my territory and not talking about how cool the product will be in two years). 10. Sales Cycle: What is the typical sales cycle for this product? How much time am I expected to spend selling it? See the same motivation under Pricing above. Ok, I lied a bit. There are more than 10 questions in the list. If you’ve gotten this far and still have my sales attention, let’s now get down to the nitty gritty. 11. Will this product cannibalize any products I sell now? If so, explain how this is going to be handled. If you don’t talk about this, I’ll assume that it is going to eat into my existing funnel of product sales. Be upfront with me here or I’ll go on selling the old product. 12. Channel Conflict: Do I have exclusive selling rights for this product? Are there other channels of distribution that will operate in my territory? If so, explain how quotas are going to be adjusted. Did you notice how little the product itself is being discussed? The reason is that product training—especially the technical detail—is left to sales engineers, support and peripheral field technical staff. They need product training; not necessarily the sales rep.
A sales rep needs to position, set and manage customer expectations and be motivated to sell the product. That’s what the above questions address—at least in my experience selling high/early technology markets. Contact me here at Product Managment 2.0 if you want to talking about this more.